On one spring day, I visited Jian’s House, a country house in Gangneung. 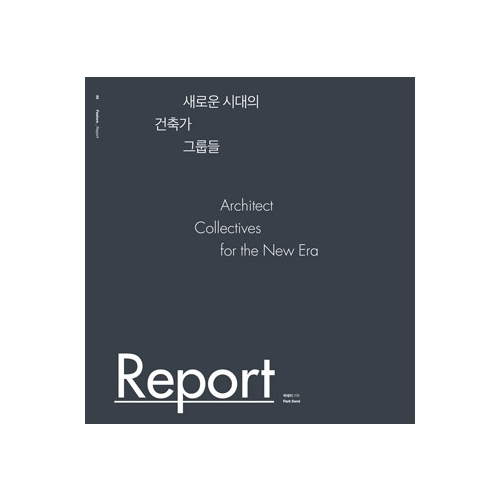 Actually, I remember I have long met with the works of Formative architects (hereinafter Formative) at a number of locations in Jeju Island. Since the relatively early stages of their firm, they have carried out many projects that could be considered part of their major works. They complete their works to a high quality on a tight budget, even considering details that other architects usually don’t contemplate. So far, however, most of their works have been for commercial use, like pensions and guesthouses. These buildings for unspecified guests usually place an emphasis on the surface, as that is easier to notice than the inside as the guests stay there only for a while. I was curious about Jian’s House as it is a house where a family will actually settle. All my concerns melted away as soon as I passed the main gate. First, Formative introduced an annex with a studio and a parking lot that serves as a gate quarter instead of an enclosing fence around the outer boundary. The layout of the main house and annex was appropriate in terms of the scale and shape of the space. 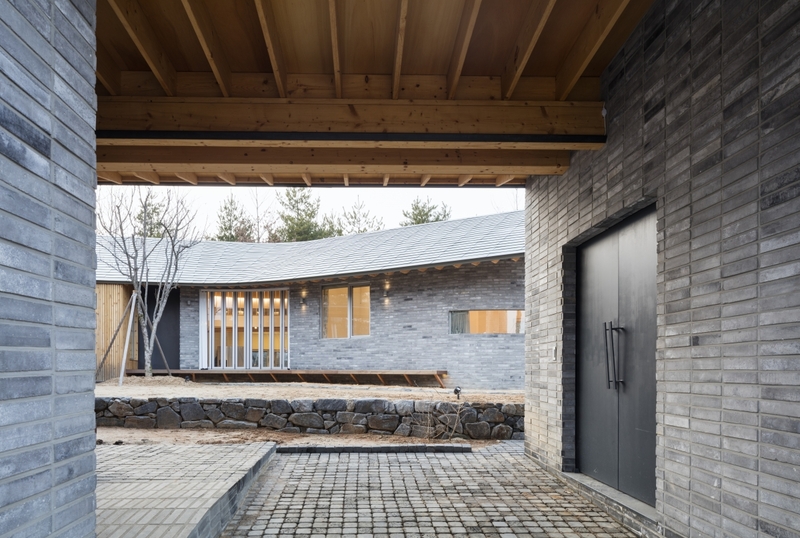 Before designing this building, they planned a residence for the client’s parents that would abut Jian’s House. With the layout of the courtyard open to the parents’ house, which is a few steps lower, they attain a balance with the outside space making the courtyard cosy and providing a sense of security for the family. Formative explained that they concentrated most on the space around the dining room in the house. 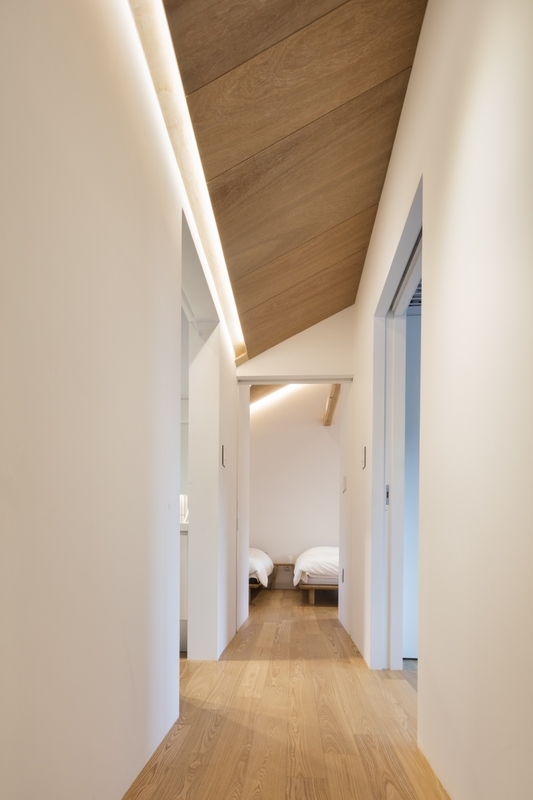 However, the best of the house is the cross-shaped space which leads into the house from the entrance hall. Houses often introduced in the media seem distinct enough to draw upon architectural discourse in terms of the form and building material. The quality of the inside space is lower than one might expect: when entering the front door, one may face the dining room, the living room, the hallway or the wall first. 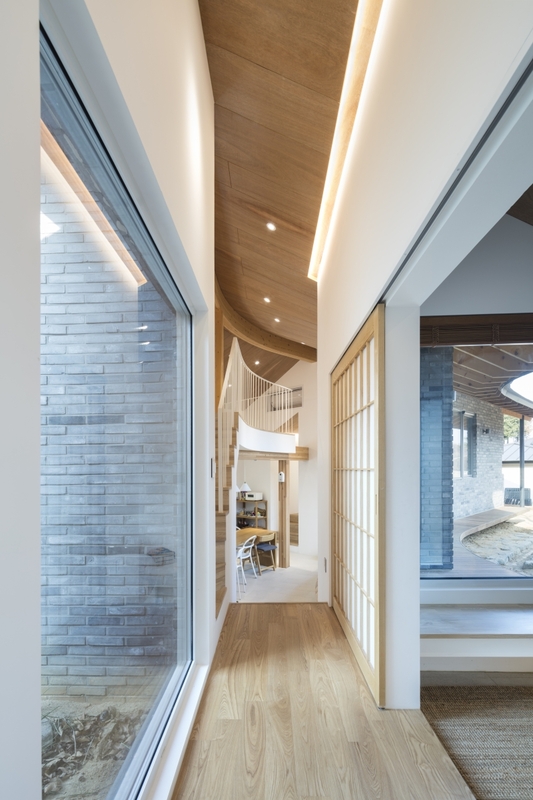 In contrast, the first scene inside of Jian’s House after taking off your shoes is the view of the outside – toetmaru (the floor of a Korean verandah) in the front yard, back yard, and small courtyard with a maple tree, which are framed by the windows. The view of the exterior space is to be seen again in the house, which makes people relaxed. The porch is not only a space filled with foot odour, where one has to pass after taking off shoes, but an important transitional space connecting the inside and the outside. This space divides the guest area from the family area, helping to get one’s heart ready for the space ahead. Then, I would like to mention the dining space, an impressive central area in this single-story house. A skip floor, formed vertically from the corridor to the master bedroom, makes the dining room threedimensional with an open space. Formative made this space curved according to the shape of the site. 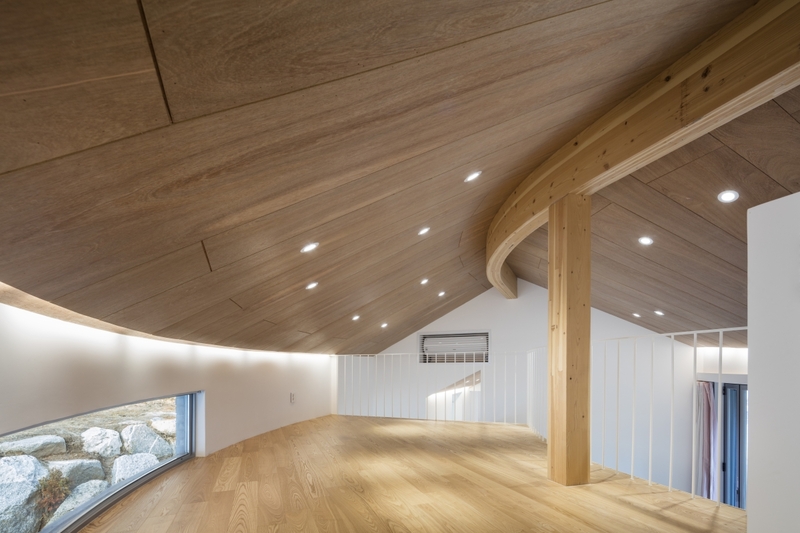 A heavy timber structure is applied to support the roof above the curved space. The kitchen, not large, accounts for one of the five parts of the house that are organically connected from the back yard, dining, courtyard, annex, and to the front road. The living room is placed above the dining which provides open space as it is lower than the corridor by half story, enriching the interior of the house. From the dining space, one can see family members in the courtyard, and the view of everchanging sky over time. 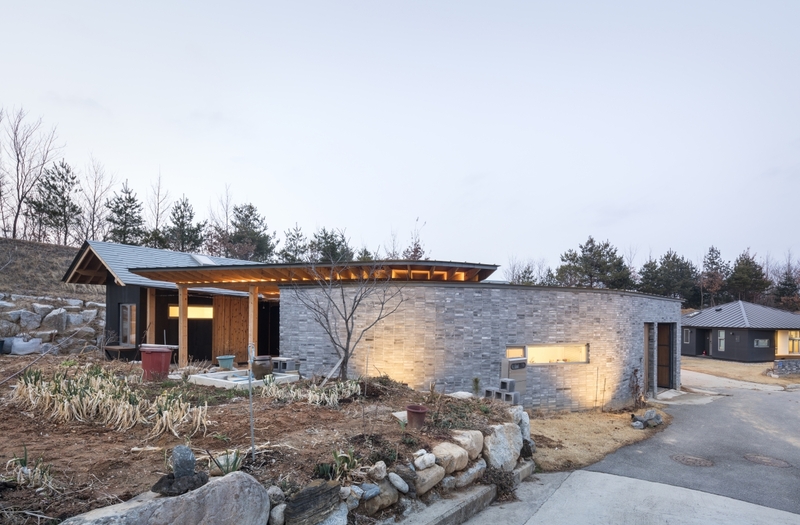 Spicing up the house, the scene demonstrates that Jian’s House is the ‘human-centred space’ foregrounded by Formative and a residence imbued with the essence of everyday architecture. Aside from this, Formative’s choices and efforts can be found here and there. Designing a one-story house building for the parents’ house, they gave variety and fun to the space by changing the level from the entrance. 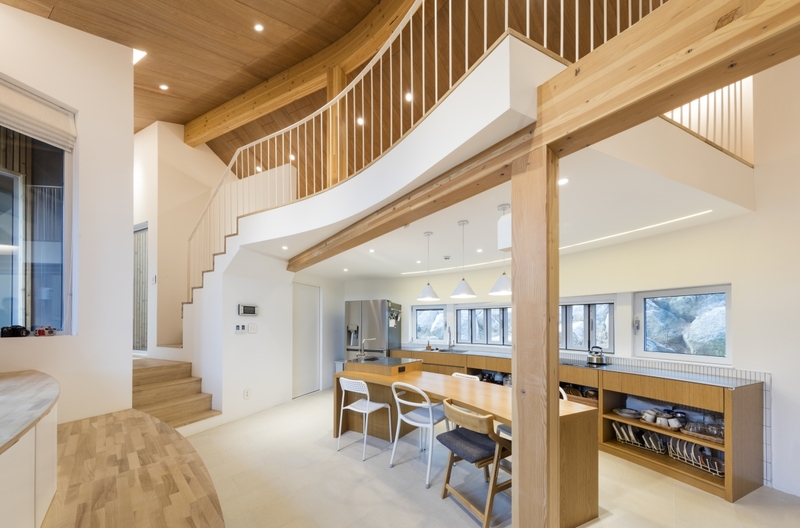 Organically connecting the inner and outer spaces with a narrow wooden porch, staircase like stands, and low wooden bench, various physical activities were taken into consideration. 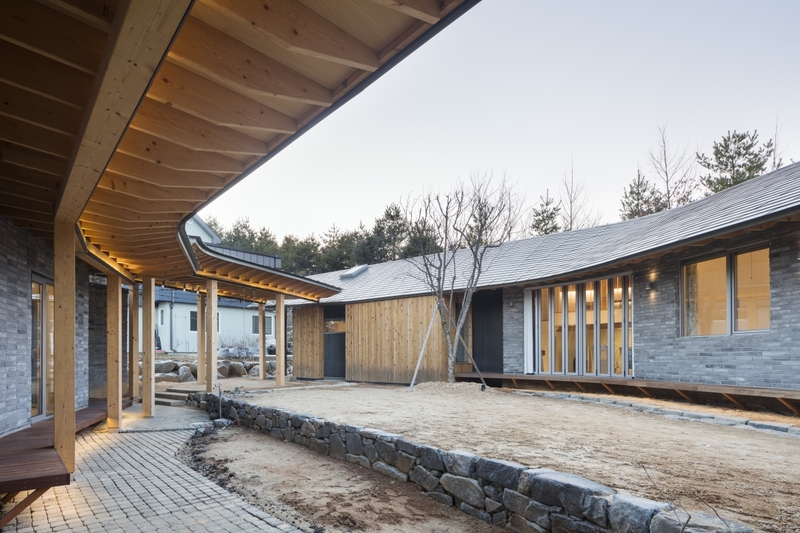 The exposed wooden structure emphasises the warmth of the wood and even the raindrops falling from the overhanging eaves are adopted as the elements of the house. Such a space could be experienced in the house in the past, but they have become rare, swept away by speculative apartments that lay stress the area, the real estate price and a superficial architecture that only pursues the design of the skin. This is the reality, though the point is that a house is not only a physical space created by walls and floors, but a place to feel its presence through eye contact with the materials and the ground, with a close and distant view, and with people. than the surfaces of a space. visiting Professor in the architecture department of Chosun University and the barrier-free certification jury.